Having already clinched FIFA Player of the Year award ahead of Cristiano Ronaldo and Mohamed Salah, Luka Modrić also took home the 2018 Ballon d’Or following his exploits with both club and country. For the past few months, there seemed to be a strong possibility that someone other than Ronaldo or Lionel Messi was going to snag the prize for the first time in a decade. With Antoine Griezmann and Kylian Mbappé also finishing ahead of Messi, it’s unquestionable that the vote was far more open than it had been for years prior. This got me thinking about some of the exceptional players since 2007 who have been unable to pick up the Ballon d’Or, largely due to the dominance of the two all-time greats, and how different things would’ve been if they had never come along. Rather than adding to the glut of articles discussing the 2018 Ballon d’Or, I thought I’d take a look back in time instead, at who I feel would have won the award each year since Kaká’s victory in 2007, had it not been for Ronaldo and Messi. Would we have had 10 different winners? Could we have seen the first English Ballon d’Or winner since Michael Owen in 2001? And should any of the best of the rest have actually won the award ahead of the two five-time victors? Of course, this is a largely futile debate, as without Ronaldo and Messi, the landscape of football would be so radically different that it’s almost impossible to predict how the fortunes of certain teams and the careers of certain players would’ve panned out. But just forget about that for a second, because it’s still an intriguing discussion to be had. Cristiano Ronaldo won his first Ballon d’Or – romped to it, actually – gaining 446 points in the vote, compared with Messi’s 281 in second place. It was the Portuguese superstar’s reward for a sensational season at Manchester United, during which he picked up the Premier League golden boot and fired his side to a league and Champions League double. 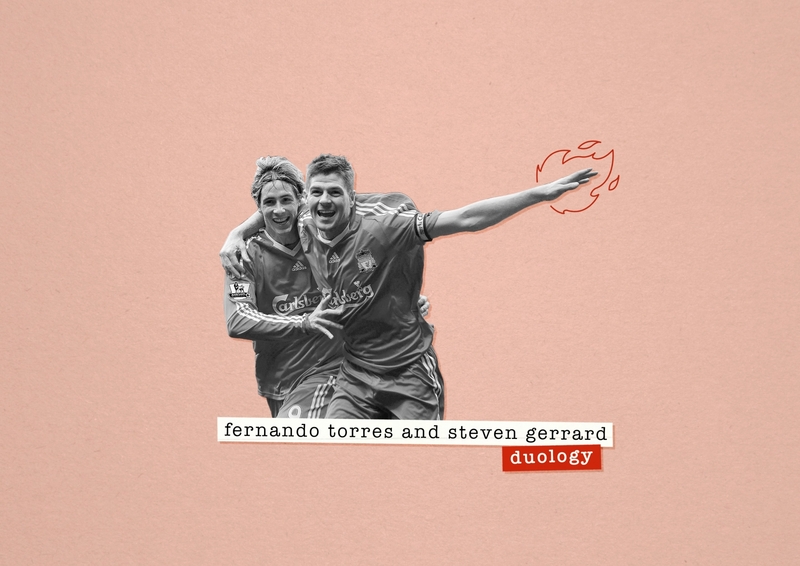 In third place behind the two usual suspects was Liverpool’s Fernando Torres, who not only enjoyed a sublime debut season in English football with 33 goals in all competitions, but went on to lead the line for Spain as they secured their first major trophy since 1964, netting the winner in the Euro 2008 final. The magical football being played by the Spaniards that summer also had a substantial effect on the other high finishers in the Ballon d’Or voting – Iker Casillas came in fourth, Xavi came in fifth, and David Villa also placed inside the top 10, coming seventh behind Andrei Arshavin. There’s no question that without Ronaldo and Messi we’d have seen the first Spanish winner of the award since Luis Suárez in 1960. For me, it’s between Torres and Casillas. The latter was in his prime in 2008, not only playing a key role in the Spain side that won the Euros, but also picking up the Zamora trophy for being the best goalkeeper in LaLiga as Real Madrid won the title. However, having watched Torres tear the Premier League and Champions League apart that season, I can’t bring myself to go against the grain and give it to anyone other than the man who finished third in the final vote. He was simply unplayable that year, so despite not securing a trophy with his club as Casillas did, his individual performances, and the fact he produced one of the defining moments of 2008 with that winner in the European Championship final, means it has to be Torres. A year later, Messi levelled things up at one apiece, winning his first Ballon d’Or at the age of 22, and did so via even more of a landslide than the previous year – 473 votes to 233. Having been the key man and top scorer in Barcelona’s astonishing six-trophy year under Pep Guardiola, which included the first treble in Spanish football history, there’s no question the Argentine was a deserving victor. But which of his Catalan compatriots would’ve secured the prize in our alternative Messi and Ronaldo-less universe? Xavi and Andrés Iniesta came third and fourth for their pivotal roles in Barcelona’s historic year. Meanwhile fifth-placed Samuel Eto’o, like Messi, scored in their Champions League final victory over Manchester United and finished with just two fewer goals than him in all competitions. It’s extremely close between the Barcelona boys, but for his consistency over the full season and finishing as the top assist provider in both LaLiga and the Champions League, Xavi edges out Iniesta to come in third with 170 points, although there was very little between them and it’s probably a case of personal preference. Messi secured nearly a quarter of the vote following another fantastic season in which he registered 47 goals and 11 assists in 53 games as Barcelona retained their LaLiga title. Ronaldo, on the other hand, was languishing in sixth place with just shy of four percent of the votes, after finishing his first season at Real Madrid without silverware. 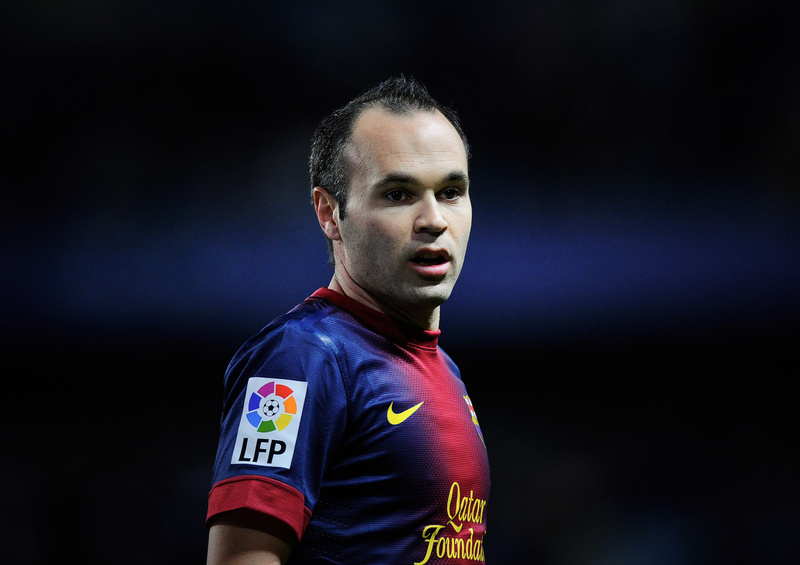 Iniesta and Xavi were second and third respectively, and should undoubtedly be in the conversation once again. Having enjoyed similar success alongside Messi at club level, they went on to be integral in Spain’s World Cup victory in the summer of 2010. Of the two, Iniesta probably shades it as he produced one of the most memorable moments in recent football history when he struck that late winner against the Netherlands in the World Cup final. Having said all that, my pick for the winner, not only of our lucky loser edition but quite possibly for the actual Ballon d’Or in 2010, has to be one of the players who was beaten by that famous goal in Johannesburg. Wesley Sneijder came fourth, and was only marginally behind the Barcelona trio in the vote. He was the playmaker and star man for Internazionale as they completed an unprecedented treble of their own. The Dutchman racked up eight goals and 16 assists, was voted Champions League midfielder of the year, and registered the most assists in the competition, including one in the final against Bayern Munich. There’s no doubt that Inter side contained a number of exceptional performers – Eto’o, Maicon and Diego Milito to name a few – while the influence of José Mourinho in his managerial prime was also an important factor. 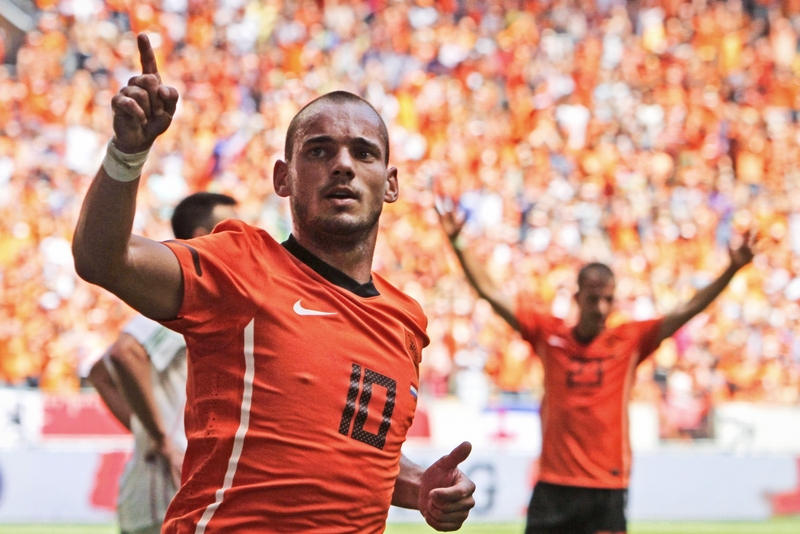 What set Sneijder apart, not only from his treble-winning teammates but, in my view, from every other footballer on the planet in 2010, was his performance at the World Cup in South Africa. 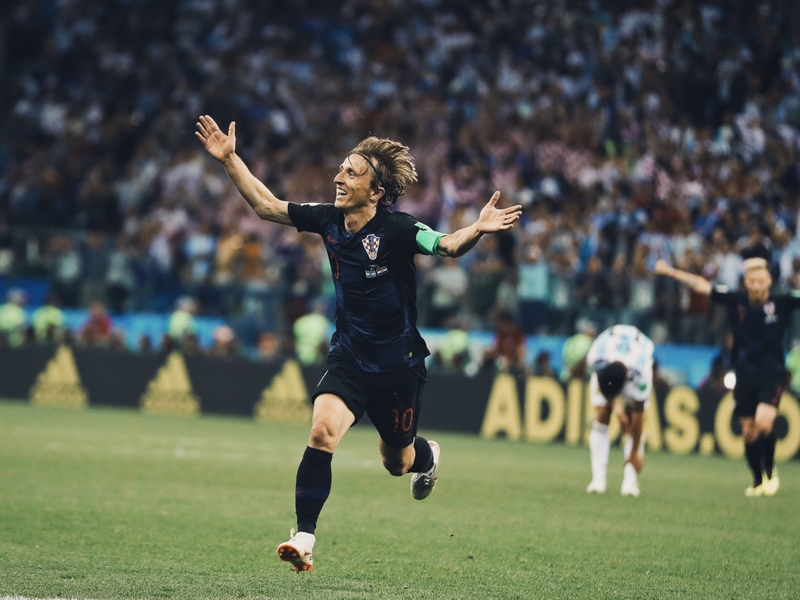 He finished as the tournament’s joint top-scorer with five goals, and his exceptional performances, particularly in the knockout stages, helped guide the Netherlands all the way to the final. Make no mistake about it, Messi was typically brilliant in 2010, as were Iniesta and Xavi, but Sneijder was so crucial to the success he enjoyed with both club and country that he probably deserved to edge out all three of them and take home the prize. Messi again clinched the Ballon d’Or with nearly half the vote, Ronaldo was back up to his rightful place in second, while Xavi edged out Iniesta to come in third. After another year in which they secured the LaLiga and Champions League, it is hard to look past those two midfield magicians once more. As always, their stats don’t do justice to just how good they were: Iniesta registered nine goals and 15 assists while Xavi clocked in at five goals and 15 assists. But both were instrumental to Barcelona’s success once more, with only an extra-time strike from Ronaldo in the Copa del Rey final preventing them from completing their second treble in three years. The fact that I’m getting a bit tired of waxing lyrical about ‘Xaviesta’ may have affected my critical faculties here, but Wayne Rooney was superb in 2010/11 and is more than worthy of a mention at this point. Despite not enjoying his most prolific campaign in terms of numbers – although 16 goals and 14 assists isn’t bad – Rooney led United to another Premier League title, scoring that spectacular overhead kick to seal the Manchester derby along the way. He also netted in the Champions League final against Barcelona, and it was only the brilliance of Messi and co that prevented him from winning the competition. Ultimately, however, it has to be one of the Catalonians, so for his marginally better goal contribution, and possibly because he was so unlucky in missing out in the two years prior, Iniesta sneaks it. It seems almost ridiculous to even acknowledge anyone whose name isn’t Messi at this point considering he scored a mind-blowing 91 goals in 2012 to secure his fourth consecutive Ballon d’Or. Once again Ronaldo was the runner-up. Iniesta found himself on the podium with Xavi in fourth – you know the drill by now. Having won the Copa del Rey with Barcelona, Xaviesta enjoyed another fantastic year, also retaining the Euros in the summer of 2012 with Spain. On this occasion, however, their Spanish teammate and long-time rival at club level, Iker Casillas, enjoyed an even more successful campaign. He captained Real Madrid to their first Spanish title in four years, was named best goalkeeper in LaLiga once again, and also led his side to within an inch of the Champions League final. He also skippered Spain to their triumph at the Euros and was named in the team of the tournament. It’s close between him and Iniesta, who was named player of the tournament and man of the match in the final at Euro 2012, but for his consistency over the course of the season, it’s the Bernabéu legend who takes it. So, despite finishing sixth in the Ballon d’Or running – just below Radamel Falcao who led the line as Atlético Madrid won the Europa League and Super Cup double – Casillas claims the illustrious ‘best-of-everyone-except-for-Ronaldo-and-Messi-in-hindsight’ award for the very first time. There wasn’t much to split the two in 2013 but Cristiano Ronaldo finally broke Messi’s Ballon d’Or streak to capture the award for the first time since joining Real Madrid. 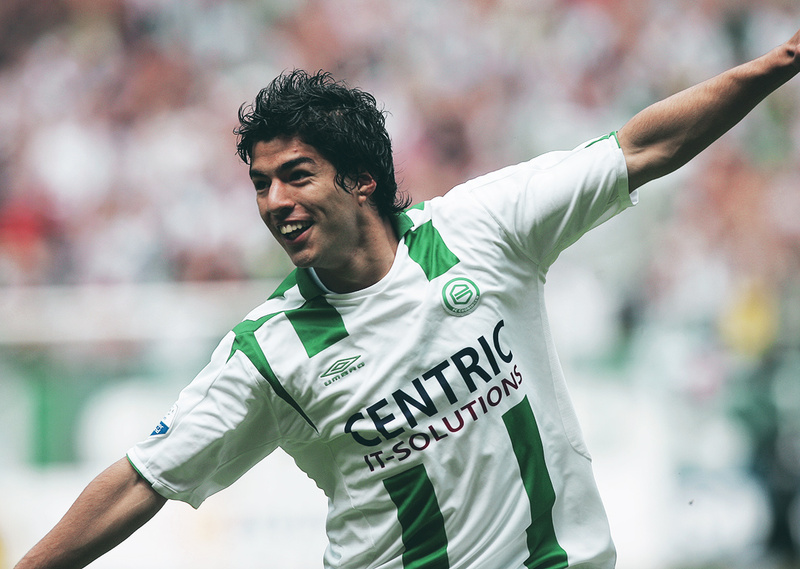 Despite going trophyless, he had netted an astounding 55 goals in as many games, along with 13 assists. For the first time in a good few years, Iniesta and Xavi aren’t really in contention here, having finished sixth and 15th respectively. In fact, there’s really only one player who is in contention. Franck Ribéry was and still is much more of a traditional wide man than either Messi or Ronaldo, which is why his goal-scoring figures are some way off their considerable level. Indeed, he managed just 11 goals in the 2012/13 season. Even the 23 assists he registered don’t do justice to how devastatingly brilliant he was as Bayern Munich won an unprecedented German treble. 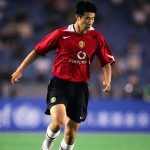 But if you consider the fact that five of those assists came en route to winning the Champions League, and he had a hand in both goals in the final, was voted Bundesliga Player of the Year, added the UEFA Super Cup and FIFA Club World Cup to his trophy haul, and even fended off Messi and Ronaldo to be crowned UEFA Footballer of the Year … well, you get the idea. The point is that he was unplayable at times, and is one of a select few players to truly come close to Messi and Ronaldo in terms of performance levels across an entire season. 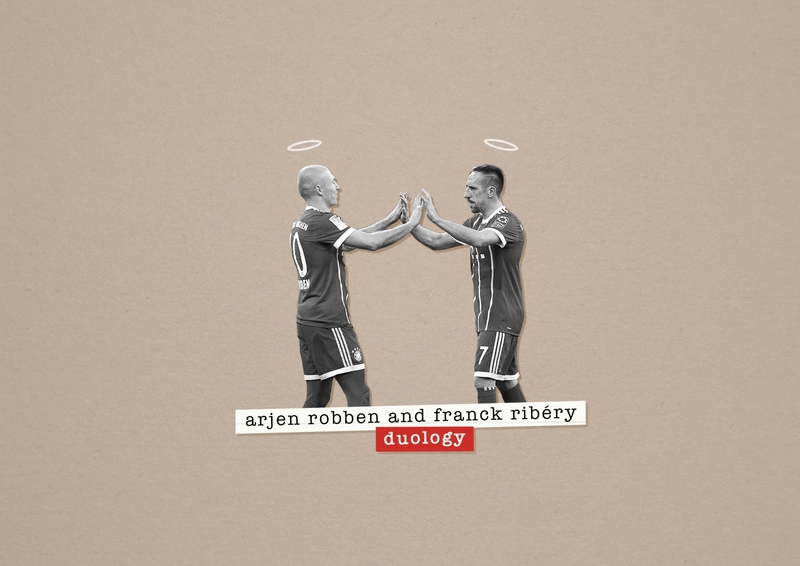 Whether Ribéry deserved to win the Ballon d’Or outright is a tough call, but there’s no doubt that while the likes of Arjen Robben, Thomas Müller and Philipp Lahm were also exceptional components of that Bayern team, the Frenchman stood head and shoulders above everyone else. Ronaldo deservedly retained the award for leading Real Madrid to their long-awaited La Décima, scoring an astonishing 51 goals in 47 appearances in all competitions and winning the Copa del Rey for good measure. For the first time in years, Messi was way off the pace having not won a major trophy in 2013/14, and barely scraped second in the running ahead of Manuel Neuer. As for our award, there are a couple of factors to be considered. The first of these is Germany’s World Cup victory. Neuer was considered the pick of the bunch but Thomas Müller and Philipp Lahm weren’t far behind in fifth and sixth, while Toni Kroos, Mario Götze and Bastian Schweinsteiger also received nominations – all of whom were part of the Bayern team that completed another domestic double. The other factor is Real Madrid’s success in winning two major trophies. Ronaldo was undoubtedly their star player but Ángel Di María, Gareth Bale and Sergio Ramos all deserve a mention, while Sami Khedira became one of a handful of players in history to win the Champions League and World Cup in the same summer. One final player to throw into the mix is Luis Suárez who, like Messi, had about as good a season as it’s possible to have without picking up any silverware. The Uruguayan registered 31 goals and 17 assists in one of the most impressive individual campaigns in Premier League history as Liverpool came agonisingly close to winning the title, and if it wasn’t for the fact that his season was sandwiched between two separate biting incidents, he may well have challenged Neuer for third place in the Ballon d’Or vote. Having said all that, for me, it has to be the German. In terms of individual brilliance he may not quite have been on the same level as Messi and Ronaldo but his trophy haul, on top of individual accolades like the German Footballer of the Year, UEFA Goalkeeper of the Year and the golden glove at the World Cup in Brazil highlighted a remarkable season. After finishing runner-up to Ronaldo in the previous two years, Messi was back on top to make it five Ballon d’Ors overall. While the Argentine had been as instrumental in Barcelona achieving another treble, the Portuguese finished the year without any major honours, although once again his absurd numbers – 61 goals and 22 assists in just 54 matches – elevated him above the rest of the field. For me, the other two components of that glorious MSN front three were top of the pile when it comes to non-alien footballers during the 2014/15 season. Neymar was approaching Messi/Ronaldo levels of scoring from the wing with a phenomenal 39 goals in all competitions, while Suárez was as much a creator as he was a goalscorer, ending his debut season in Spain with 25 goals and 23 assists. Both players netted in the Champions League final as Barcelona saw off Juventus, while Neymar also struck in the final of the Copa del Rey on his way to finishing as the tournament’s top scorer. The Brazilian would also finish alongside Messi and Ronaldo as the highest scorer in the Champions League – another indication that he was one of the few players to come close to the two extra-terrestrials over the last decade. There isn’t a great deal to split them, but Neymar did have a marginally better campaign than Suárez. Not least because the ex-Liverpool man missed a total of 11 games at the start of the season after Giorgio Chiellini viciously drove his shoulder into the Uruguayan’s teeth at the World Cup. This may also explain why Suárez actually finished in fifth place, below a prolific Robert Lewandowski in the run-in, leaving Neymar to secure his spot on the podium. Ronaldo crushed the competition and deservedly won the Ballon d’Or by a record margin of points ahead of Messi. He contributed an unearthly 16 goals in 12 appearances as Real Madrid won the Champions League, and also led the line for Portugal as they won Euro 2016, chipping in with three goals and two assists. Messi was a long way off the pace, and there’s a case to be made for him not even being worthy of second place, such was the brilliance of another of his closest rivals, Antoine Griezmann, and one of his Barcelona buddies in Luis Suárez. Let’s start with Griezmann. The Frenchman rattled in 32 goals for Atlético Madrid and was named LaLiga Player of the Season as they enjoyed a brilliant, if ultimately heart-breaking, 2015/16 campaign. Having missed out on the LaLiga title on the final day of the season, they were agonisingly denied a first Champions League title by city rivals Real, via a penalty shootout, just weeks later. Griezmann was subjected to more misery and another last-gasp goal in the final of the Euros, despite running away with the golden boot and player of the tournament awards. The Frenchman was very much a nearly man for both club and country, and was desperately unlucky to finish an exceptional season without any silverware. On the other hand, despite enjoying a slightly less stellar season than his last at the Camp Nou – in terms of silverware, anyway – Luis Suárez achieved the league and cup double again as MSN continued to flourish. The Uruguayan became even more ruthless in front of goal, netting an astonishing 59 goals in 53 games, while also laying on 24 assists for good measure. He was probably the standout player in that Barcelona attack, scoring nearly half of the 131 goals they managed by himself, finishing as the top goalscorer and joint-highest assist provider in the league. Neymar deserves another mention for his part in Barcelona’s continued success – 31 goals and 25 assists is superb and is actually a greater contribution than what he registered the previous season. However, this time around there was stiffer competition for places in the Ballon d’Or running. It seems cruel to compound Griezmann’s misery by snubbing him but Suárez was quite brilliant may just have been worthy of winning the golden spheroid outright had Ronaldo not won the Euros with Portugal that summer. Last year, Ronaldo drew level with Messi on five Ballon d’Ors after Real Madrid became the only team to retain the Champions League. Once again he was the competition’s top scorer, netting 12 goals, and was also Los Blancos’ key man as they won LaLiga for the first time in five years. Despite picking up the Pichichi trophy for scoring the most goals in the league, and lifting the Copa del Rey, Messi had to settle for second place. The year is arguably one of the toughest to assess for the best of the rest, largely because there were fewer genuine standout performers, particularly when it comes to attackers. Barcelona’s front three were less effective than they had been prior, although Neymar did still clinch another bronze medal at the Ballon d’Or awards. Whereas he only won the Copa del Rey, Juventus’ skipper Gianluigi Buffon completed another habitual league and cup double in Italy, and only a brilliant Real Madrid side prevented him sealing the treble in the Champions League final. Despite the defeat, he was voted the competition’s best goalkeeper, as well as Serie A Player of the Year, and was generally considered the Old Lady’s most consistent performer throughout an excellent season. N’Golo Kanté has certainly earned a shout here, too. Having been criminally overlooked for his part in Leicester’s Premier League triumph the previous year, he went and achieved the same feat at Chelsea in 2016/17, and was the London club’s best player. It was also the year that other components of the superb Real team assembled by Zinedine Zidane began to gain more recognition and step out of Ronaldo’s sizeable shadow. Luka Modrić and Sergio Ramos both placed in the Ballon d’Or top 10, while Isco, Marcelo, Toni Kroos and Casemiro were all integral to their side’s success. Neymar and Suárez both enjoyed impressive individual seasons despite their relative lack of silverware, while Kylian Mbappé and Robert Lewandowski were superb in leading their respective clubs to domestic glory and forays into the latter stages of the Champions League. Overall, however, Buffon was the third best player of the year, and despite still being some way off Ronaldo and Messi, he age made it all the more remarkable. Well, in an excellent advert for journalistic brevity, I’ve managed to write an article as long as most essays, so I thought I’d throw in a quick conclusion to reinforce that vibe. In relation to Ronaldo and Messi, one interesting thing which you may have noticed is this: Messi was often surrounded by his brilliant Barcelona teammates in the Ballon d’Or run-in, from Xavi and Iniesta to Neymar and Suárez. On the other hand, Ronaldo has rarely had company from Manchester United or Real Madrid teammates near the top of the rankings over the last decade. Read into that what you will, but to me it suggests that when Messi lights up the footballing world, he often has world-class players around him, and combines with them to achieve success, whereas at the points that Ronaldo has been considered top of the pile, he has had to be the absolute standout player for his club and country. On a similar note, the fact there have been four different Barcelona winners of this anti-Messi-and-Ronaldo Ballon d’Or, and only one for Real indicates that despite Los Blancos’ unprecedented success in the Champions League, the past decade has been Barcelona’s, and it continues to roll on. Spanish clubs and players have dominated the past 10 years, except for a brief interlude from the Bundesliga around the time Germany won the World Cup. It’s also worth noting that only one Premier League player has finished up as the best of the rest, and that was Fernando Torres way back in 2008, who probably wouldn’t have done so if it wasn’t for his success at international level. How long before this starts to change? Mohamed Salah and Kevin De Bruyne don’t feel a million miles off right now but it’s doubtful either will be able to challenge Kylian Mbappé if he continues his current trajectory, let alone Messi and Ronaldo. The same goes for the likes of Harry Kane, Eden Hazard, Paul Pogba and N’Golo Kanté. Ultimately, despite a new face finally bucking the trend to clinch the award, the LaLiga dominance of the Ballon d’Or looks like to continue.